Designed specifically to fit the Smith & Wesson Model SW40V, JT Defense's Decal Gun Grips for the SW40V provide a tight grip that looks great and can even improve your accuracy. Once you try it, you may decide to never shoot a gun without these easy to apply grips. If you ever want to change out the colors or simply revert your gun back to stock, it only takes a few minutes to remove the grips, and they leave no residue after they're gone. 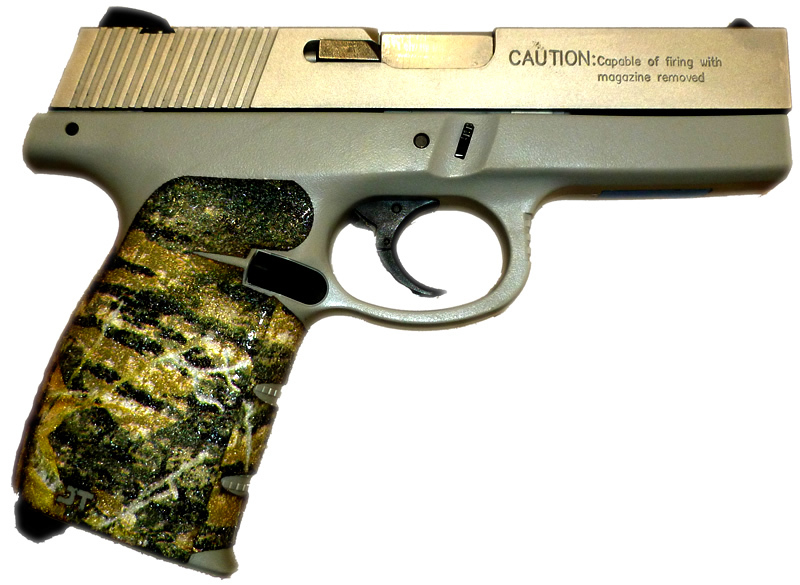 These grips are easy to install and one of the best and low cost upgrades you can make to your gun. Simply adding a set of our grips to the SW40V, made such a tremendous difference to the firearm, that the owner, who let us borrow his gun, simply cannot live without them on all his other firearms. They make that much of an impact. 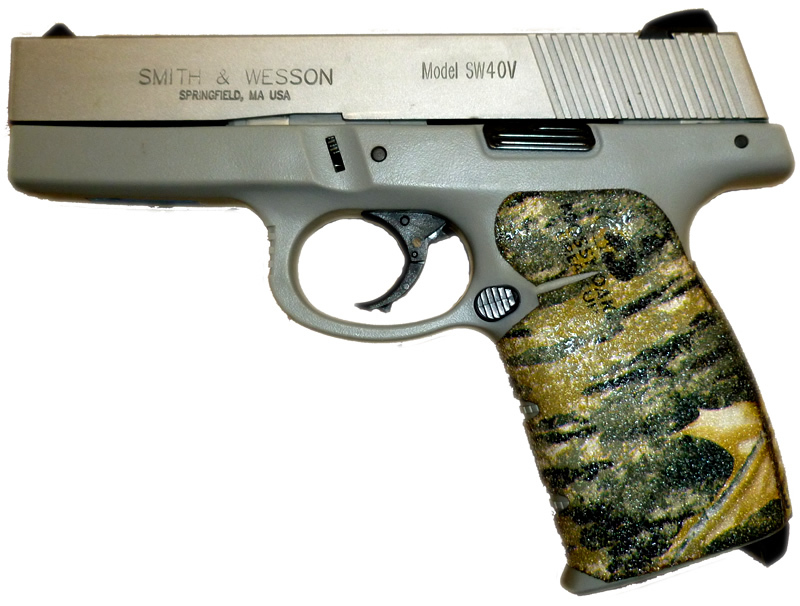 Our custom designed grips, not only wraps around the entire SW40V, the seams are sealed tight.. The control that was achieved by this firearm after putting a simple set of grips on the gun, went from punching 1 foot groups at 15 yards, to a 3 inch group. We can't overstate the confidence achieved just by putting an aggressive adhesive tape grip on this firearm. Prior to putting these grips on his gun, the owner simply did not shoot his SW40v that much.. now, it's his every weekend plinker. Warning: Once you put a set of JT Defense Decal Grips on any of your firearms, you will NEVER want to shoot without them again. Note:For qty purchases of over 5 sets, please log in and contact us. We are looking for gun clubs, group purchases and distributors throughout the United States and abroad. We invite dealer inquiries to contact us about all of our products.